The Ariel Re High School League continued at the National Sports Center with a double header. In the opener the Berkeley Institute came from behind to defeat Cedarbridge Academy 35 – 14. The Berkeley Institute would get 3 Try’s from Jayden King, while Cairi Albouy and Ja’kee Simmons added a Try each. George Peets kicked 3 Conversions. 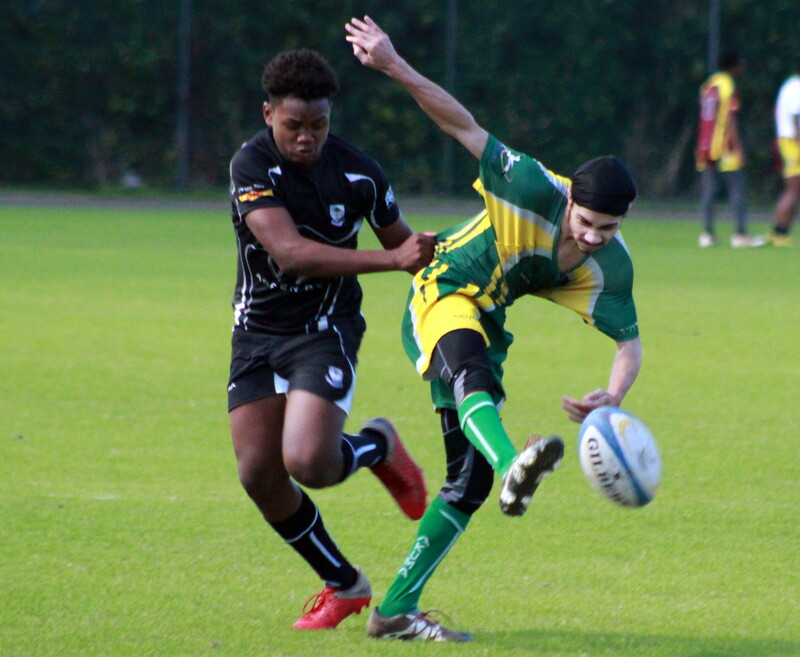 Cedarbridge Academy got a Try from Dajae Doars and Marcus Rewan, with Paulo Sousa kicking 2 Conversions. In the second match the combined team of Bermuda Institute and Warwick Academy defeated Saltus Grammar School 17 – 7. The combined team of Bermuda Institute and Warwick Academy got single Try’s from Chazaih Brown, Adrian Roach and Matthew Daniel who also added a Conversion. Conor Somerville scored a Try and kicked the Conversion for Saltus Grammar School.